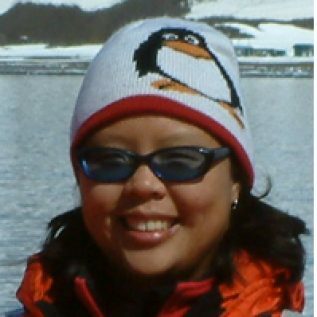 I am a polar physical oceanographer and my interests lie in understanding the physical processes integral to ocean overturning that impact climate in the polar oceans. My Southern Ocean research has focused on Drake Passage eddy heat and momentum fluxes, the surface Ekman layer that constitute the upper limb of the overturning circulation, and diapycnal mixing driving water mass transformation in the thermocline at the Antarctic continental slope. My Arctic research focuses on water mass transformations occurring in the continental shelf seas and along the Arctic continental slope that link the Arctic to the global overturning circulation, so far focusing on the role of different mixing mechanisms (i.e. double diffusion and turbulent mixing drive by tides or winds) in fluxing heat and other properties from the warm Atlantic Water into overlying Arctic halocline and mixed layer. As the co-lead investigator in the PEANUTS project, I am responsible for managing the project as a whole by facilitating integration between the different themes and work programs and leading the final synthesis of the different project components to ensure we answer the key questions raised by PEANUTS’s main hypothesis. PEANUTS is co-funded by the German Federal Ministry of Education and Research and by NERC.